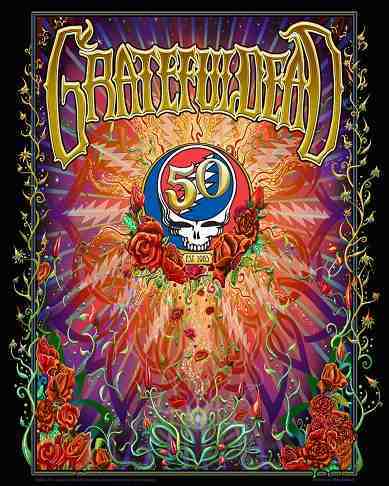 This 50th anniversary Grateful Dead print is individually hand signed and numbered by the artist, Mike Dubois. Poster measures 18" x 24". This archival lithograph is printed on heavy stock and is a hand signed and numbered edition of 350. Signed by the poster artist, Mike DuBois in silver metallic marker. Officially licensed Grateful Dead merchandise.